December | 2017 | "Limesstones"
Merry Christmas to all who celebrate this joyous day! Beacon Journal/Ohio.com that is so appropriate for today. If you are researching a Polish line for your ancestors, this is a wonderful blog to read and enjoy! Emerging Civil War welcomes back Frank Jastrzembski to share about a recent trip and his musings on historical graveyard markers. My wife reluctantly agreed to go on another of my weekend cemetery hunts. Only a few weeks before, we had taken another couple to visit Brevet Brigadier-General Orland Smith’s grave in Green Lawn Cemetery after a day at the Columbus Zoo. The best season to visit old cemeteries in Ohio is the fall. 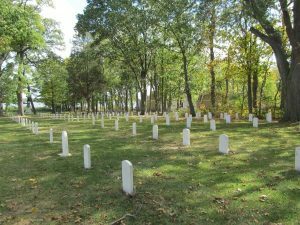 For our next trip, we headed west to hit both the Confederate cemetery on Johnson Island in Sandusky Bay and General James B. McPherson’s grave in Clyde, Ohio (a forty minute drive between the two).